The first three cow calls. All are walnut, varying shape a little to find something I like. 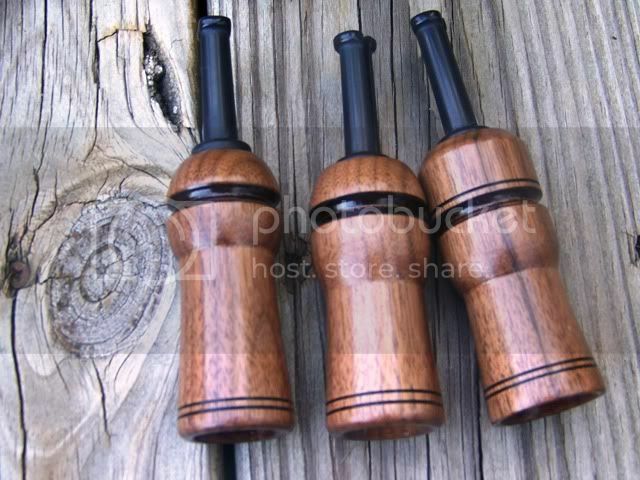 Nice looking calls!! I also like the first shape the best, the shape seems to flow better, just my taste there all nice! !